Meow, so todays post is going to be a beauty post as you can tell by the title but this was not a sponsored post as it was a part of a campaign that I took part in and as with every other beauty product review I have used this for a week to ensure reliability and that my opinion isn't based on just one use of the product. The photos within this post are not my own. I do not own copyright of them and I would like to ensure all readers know this within this post. A video to go along with this post shall be going up the day after this due to the time it takes for me to edit and upload said video. The campaign which is ran by Beauty At Tescos was to campaign helping a friend out on their night out. They did this via letting you choose a free product to send to yourself and then tag some friends which means that they would choose the product and the cycle goes on and so forth. I was tagged by the lovely Olivia (Dungarees & Donuts.) 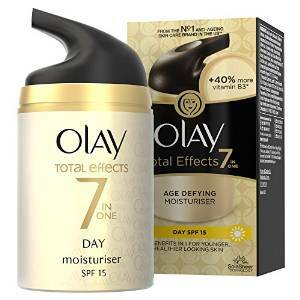 The products that you could choose from was a Max Factor mascara or Olay Total Effects 7 In 1 Anti Ageing Moisturiser and I chose the latter as I have naturally long eyelashes so I didn't see the point in choosing the mascara personally. I tagged Kellie and some other great people. At first, I thought that it would be a small sample sachet but when it came through the post I realised that it was the full version which costs around £12. The packaging tells you what the 7 effects actually are which include evening your skin to one colour, reducing wrinkle lines and much much more! The texture of the product is thick yet creamy which I love but it does take a good few minutes for the product to sink into your skin so I think that the product is best used whilst you're doing something else in the morning (maybe choosing which clothes you're wearing or if youre more like me then checking your phone.) The smell is quite neutral but somewhat sweet scent. The bottle disperses the product which makes it easier to use. I would give this a 9.5/10 as it is an amazing product but it could do with a tinkering with the smell but that may be due to the SPF which if so then I would leave it as the SPF does great things within the product. I love the product and I am using it more and more during the Summer but it is a major cosmetic staple. I would like to thank the people at Beauty At Tescos for sorting this campaign out. 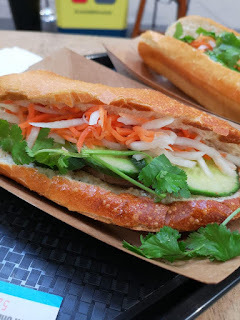 I hope that you have enjoyed this blog post! Have you ever used Olay Total Effects? If so then comment down below and tell me what you thought of the product... I shall see you next time for another post.